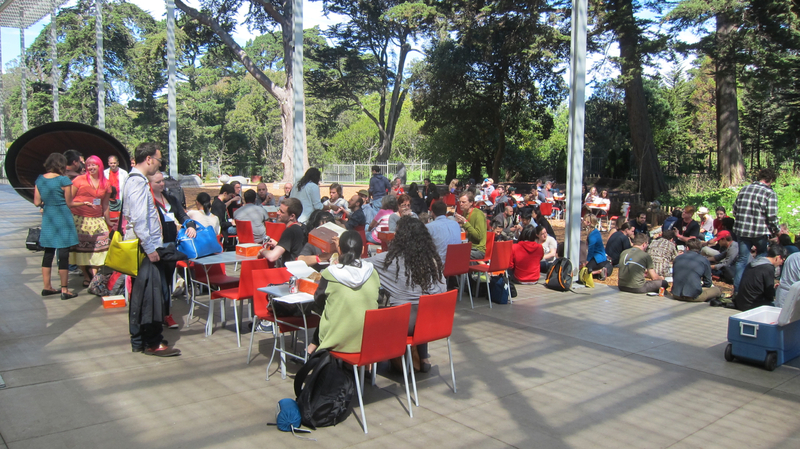 What happens when you fill up a giant space with more than 200 eager science fans from around the Bay Area for a weekend? You get Science Hack Day San Francisco, a two-day event where a diverse group of hackers -- from developers and designers to scientists and students -- works side-by-side to see what they can quickly create within 24 consecutive hours. "To me, a hack is a modification of something for a purpose that wasn’t originally intended for. So this can be used for something good or something bad," said Ariel Waldman, the organizer or "global instigator" of Science Hack Day, at the most recent event held this past September. 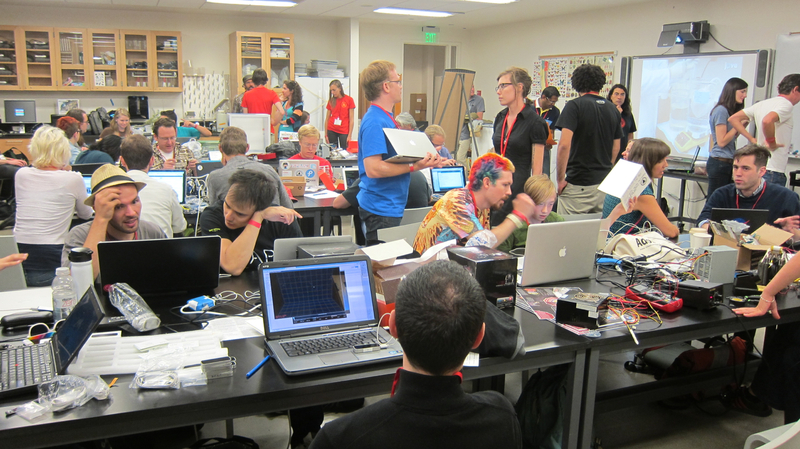 Science Hack Day isn't an official organization or company, but they do help coordinate a loose grassroots network of people who are interested in experimenting with science. “And so hacks are really just clever ideas for how to modify things," she said. "We mostly use it to create amazing things no one would have thought of. And other people use it to do bad things like hack computers and get people’s personal information. But here, we’re just all too excited to do any of the bad stuff," she laughed. While Ariel's a designer by trade, she invests a lot of her time into science-related projects. "I just really like the idea about playing with science and playing with different things. 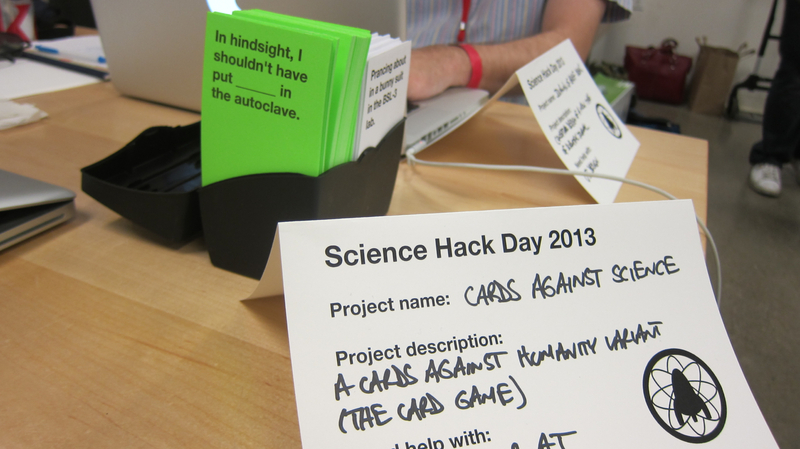 And so to me, Science Hack Day is all just about getting excited and trying to prototype stuff as much as you can. It’s really not about having any specific skill set." 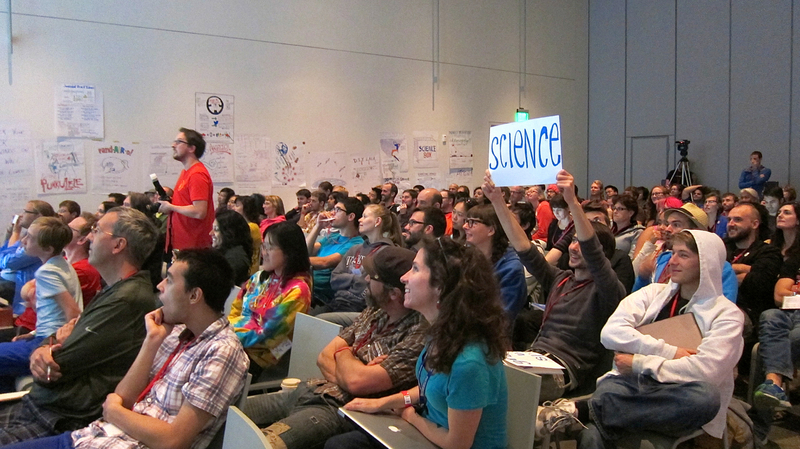 Science Hack Day sparked to life at an "Open Science" panel at the SXSW media festival several years ago. “We were really frustrated about the fact that there is actually a lot of the open science stuff out there, but no one was really doing anything interesting with it," she said. 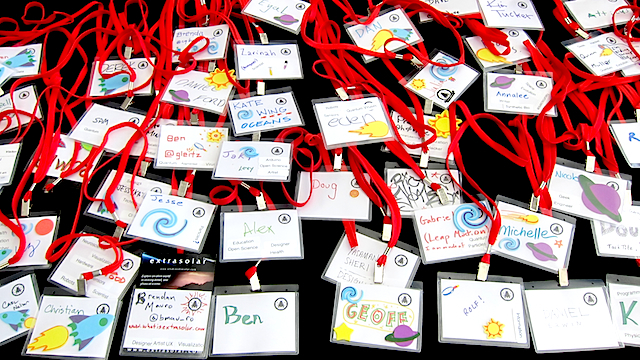 The first Science Hack Day, founded by Jeremy Keith, happened in London in June 2010. A few months later, Waldman created the first one in San Francisco. Since then, it’s expanded all over the world, with Science Hack Days in New York City, Boston, Mexico City, Nairobi, Dublin and 20 other cities. 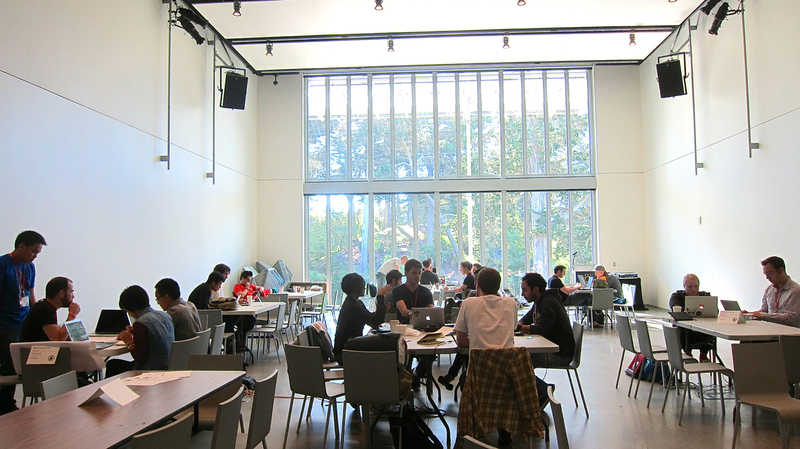 This year's Science Hack Day took place at the California Academy of Sciences, which donated ample space and staff time to help run the event for the large number of attendees. Organizing an event at a museum that includes providing rooms and resources for hacking, along with meals and sleeping accommodations, posed plenty of challenges, she said. The event was free to attend. It was staffed by volunteers and expenses were paid by mix of grants, corporate sponsorship and in-kind donations. At the recent San Francisco event, even though they were a little bleary-eyed from sleep deprivation, hackers enthusiastically showcased their innovations to their fellow attendees. They had only 2 minutes and 30 seconds to present their projects. Several judges watched the demonstrations to determine various awards, such as “Best Use of Data,” “Best Design,” “Best Hardware” and “Best in Show.” The “People’s Choice Award” is voted upon by participants and is “arguably the best award to get,” Waldman said. Organizers also created new categories of prizes because they had extra medals. One project, “Darwin, the Poet,” earned a local 11-year-old student, Quinn Muller, the “Best Young Scientist” award. And Kira Hammond’s team, which developed a cheap, portable planetarium called “Personal Planetarium,” won the “Judges Would Like to Own Award.” (Visit the wiki to see the full list of winners and hacks shown at the event.) 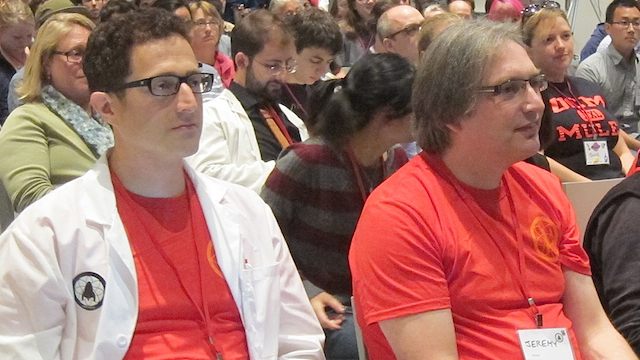 Individuals received medals emblazoned with “Science” on the front and engraved with “Science Hack Day” on the back. Waldman said the most gratifying aspect for her has been to see the events' growth and evolution since Science Hack Day’s inception. "It’ll be the most successful when Science Hack Days start popping up around the world and I don’t even hear about them because people feel like they can just run with it and be empowered and do it," she said, "that no one owns it and that it’s up to them to sort of carry it out into the world." Here's the promotional video for Symphony of Satellites, which won this year's "People's Choice Award."